There are many reasons to love Amsterdam, from its beautiful canal-lined streets, to the bikes whizzing around everywhere and the bustle of Dam Square. It is known for being a city of freedom, but it is also increasingly a centre of Open Source in Europe. For these reasons, we feel that it is an ideal place to return to for ApacheCon Europe 2009. 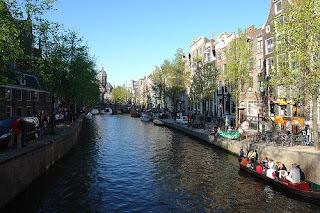 For three years now, we have held ApacheCon in this beautiful Dutch city. We’ve seen an increase in attendance each year we’ve been to Amsterdam, and we are expecting a good turnout once again. The community has given us feedback that they love the city, and for 2009 we have more fun events planned for the conference. The city of Amsterdam and the country of the Netherlands have been increasing their reliance on Open Source, including having a mandate that government offices use Open Source software over proprietary whenever possible (the OSOSS project). Last month, in fact, the Ministry of Education, said it will not subsidize proprietary software for the Netherlands Antilles. Prior to that, the Holland Open Software Platform was launched to bring together the entire Open Source community in the country and encourage its adoption. There are a number of growing companies that are focused on Open Source with Apache ties that are based in the Netherlands as well. This year’s gold sponsor, Hippo, for example, and several of the members that work for it, is very active in both Apache and in bringing ApacheCon to the Netherlands. Its members contribute to projects like JackRabbit, Cocoon, Jetspeed and Portals among others. JTeam is also quite active with various Apache projects, and provides service for Wicket, Lucene, Solr and Maven among others. Located in a world class city, filled with bright minds who believe in Open Source, it will be the ideal venue once again to bring everyone together under the feather of Apache.